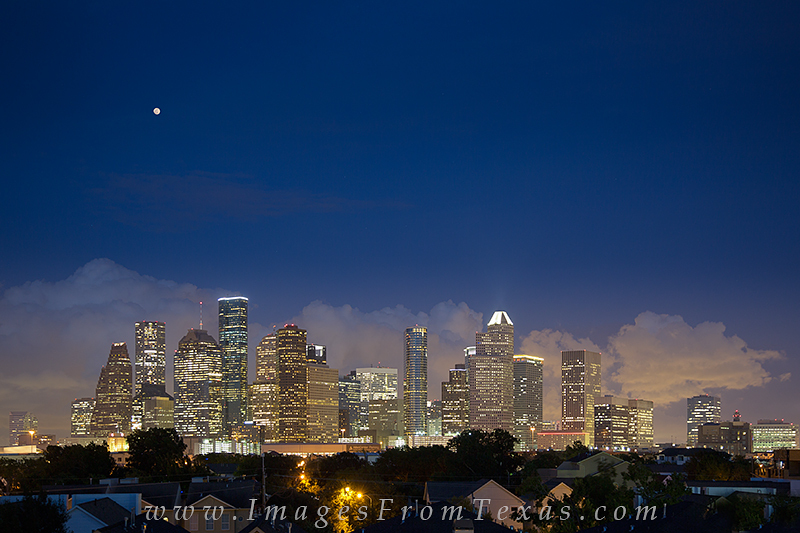 Storm clouds were brewing over the downtown Houston area on this warm late Summer evening. The city lights were shining and illuminating the clouds with an warm glow. I felt fortunate to capture such an special moment in the Lone Star State. Photo © copyright by Rob Greebon.